EXCLUSIVE! 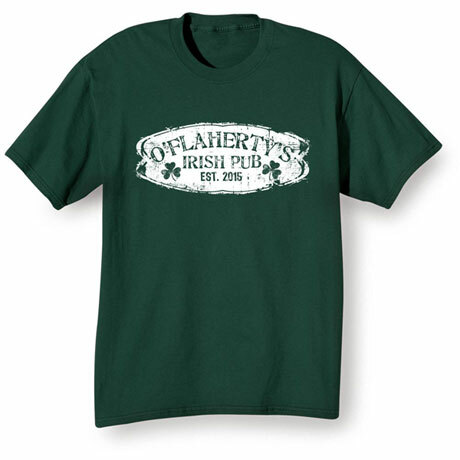 Celebrate Irish heritage and love for beer with this customizable shirt. 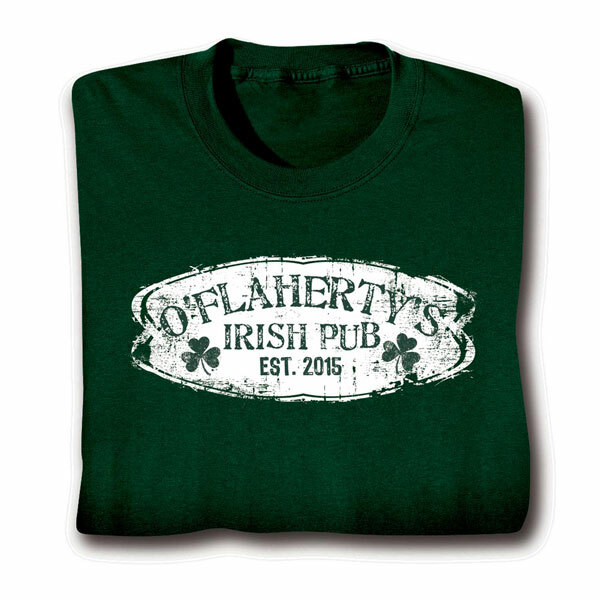 Equally fun for beer lovers of any ethnicity, personalize your name or any phrase above "Irish Pub." Makes for a unique gift with a personal touch as well. T-shirts are 100% cotton, sweatshirts are a 50-50 cotton/poly blend. Imported shirts. Printing in the USA. Machine wash. M-XXL. Dark green color.